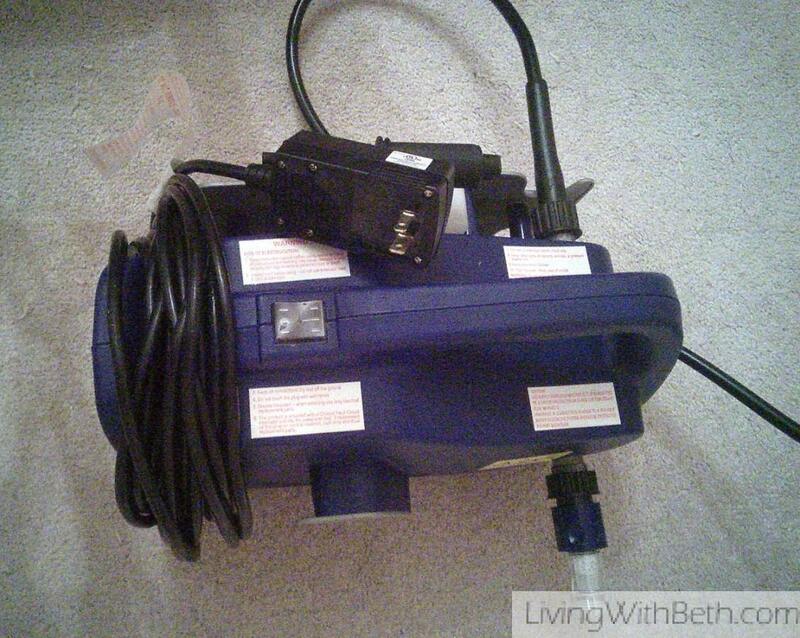 I needed a light, easy-to-carry power washer that still had enough power to get the job done. The AR118’s 1500 PSI and 1.5 GPM seemed like it would work for powerwashing my porch and deck as well as my house at a later time. With my past experience putting together household (and kids’) items, I wasn’t too put off by the AR118’s cryptic instructions. I managed to figure out the assembly without too much trouble since there aren’t that many parts to fit together. The sprayer pieces are inside the washer unit, and you screw the swivel connectors together, then attach that to the powerwasher, then connect the garden hose. Even though the instructions aren’t that great, you still need to read them carefully. You’ll find important tips, such as the need to hold in the handle to release pressure when you turn on the device. You also have to hit the reset button on the plug each and every time you plug in the power cable somewhere else. So, if you plug in the power in the front of the house and then move to the back of the house, remember to hit the reset button. Otherwise, it won’t work. 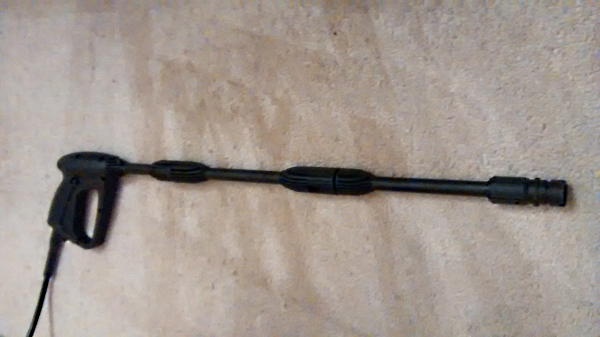 It took me about an hour to put the AR118 together, take it outside, get it hooked up and start using it successfully. Despite all the online complaints about water leakage where the hose plugs into the swivel adapter on the AR118, I was hoping I could figure out how to get past it. Unfortunately, I couldn’t get it to stop leaking. That said, I was already prepared for a huge water bill from the power washing. Much to my surprise, the bill wasn’t that huge. Maybe it seems like a lot more water is being used than actually is. A few times in past years, I’ve borrowed my wonderful neighbor’s large, powerful pressure washer to power wash my house. 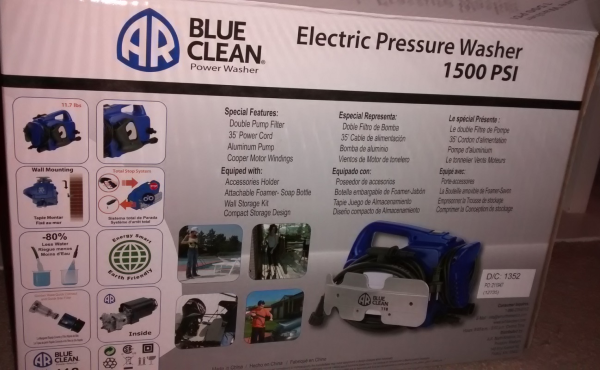 Sadly, my neighbors recently sold their house and moved, so I was on my own for finding a pressure washer. His washer did a fantastic job, but it was huge, extremely heavy and took so much muscle to maneuver that I was very sore for several days after using it. Though I’ve exercised regularly for many years, I fully expected to have trouble lifting my arms the next day after power washing due to straining seldom-used muscles. Though power washing is strenuous, draining work, my upper body was not miserably sore the next day from using the AR118, thankfully. 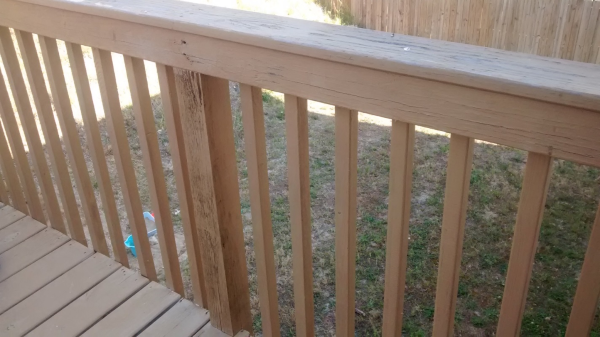 I didn’t use it as much as I would have to power wash the house, but power washing the porch and deck was still a significant job that took a couple of hours. I also washed the siding on the house near and adjacent to the porch and deck to see how good of a job it would do. Despite the incessant leaking, the AR118 did a great washing job. It produced a powerful enough stream of water to partially strip the paint off the porch and deck, so it’s a good thing I planned to paint them afterward. The AR118 also did well in power washing my house’s vinyl siding. Made in the U.S.A., the AR118 comes with a 30-foot power cord. Its 20-foot water hose means I could leave the unit in one place for long periods – I didn’t need to keep dragging it around. I recommend making sure you have a decent garden hose for the job, though. While I was washing my porch, the garden hose kept bending into kinks, impeding smooth water flow and slowing progress. Naturally, a relatively small, lightweight unit such as the AR118 takes longer to do its work than a more powerful, expensive washer. The AR118 actually did a better, faster job than I expected. Hiring someone to power wash my porch and deck would have cost at least $100, which is more than I paid for the AR118. The device offers a one-year warranty (for residential use). I’ll use it again to power wash my house’s vinyl siding, once I recover from the porch and deck painting project. You’ll get a great upper body workout from power washing, but I don’t recommend doing this yourself unless you’re in pretty good physical shape. Pressure washing takes a large amount of physical stamina. You don’t want to run out of steam halfway through the job, or worse, give yourself a heart attack. You could also hurt yourself if you don’t have enough strength to maneuver the sprayer properly. It’s worth it to pay someone to do your power washing if your body isn’t up to the job. You also might want to look into hiring someone with their own water if you use a well that tends to go dry quickly or if you pay unusually high amounts for your city water service. Though I can’t speak for the AR118’s durability since I’ve used it for only a short time, the device seems well made and did what I wanted it to do.